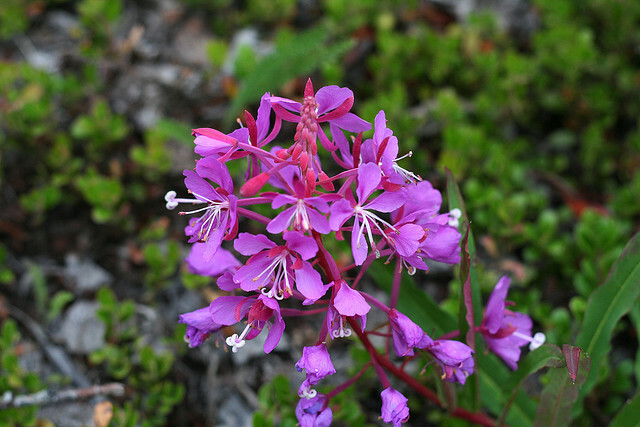 Common Fireweed (Epilobium angustifolium) is in bloom right now in Nova Scotia. You can see it quite easily along many of the "100 Series" (Trans Canada) highways that criss cross the province. Did you know you could eat it? I bet not. 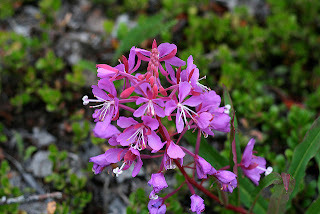 Fireweed is one of the easier plants to find in the wild. It is distinctive in its upright habit and recognizable fuchsia blooms. As its name suggests, it is fond of burned out areas of forest but can just as easily be found in ditches, along roads and even in parks. It's not too fussy where it puts up shop. 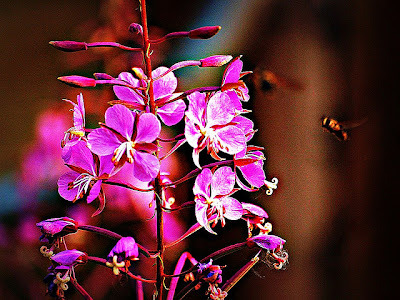 Fireweed is actually a beneficial plant in the wild because it is one of the first to recolonize disturbed areas. This aids in helping to re-establish vegetation in those areas. The young shoots were often collected in the spring by Native American people and mixed with other greens. They are best when young and tender; as the plant matures the leaves become tough and somewhat bitter. The southeast Native Americans use the stems during the mature stage. They are peeled and eaten raw. When properly prepared soon after picking leaves are a good source of vitamin C and pro-vitamin A. 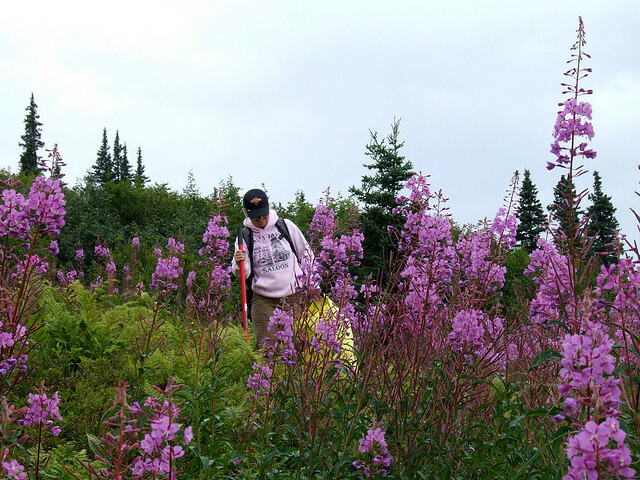 In Alaska, candies, syrups, jellies, and even ice cream are made from fireweed. 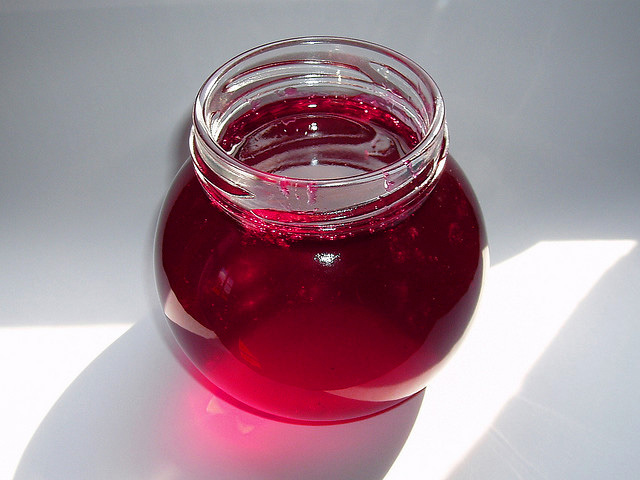 Mono-floral honey made primarily from fireweed nectar has a distinctive, spiced flavor. In Russia, its leaves were often used as tea substitute and were even exported, known in Western Europe as Kapor tea. Fireweed leaves can undergo fermentation, much like real tea. Today, Kapor tea is still occasionally consumed though not commercially important. There is one warning in all of this though. Fireweed may act as a laxative if "eaten in quantity." What "quantity" is would be anyone's guess, but I'm assuming that it would be more than what would comfortably consume. This jelly recipe has a nice distinctive flavor for with peanut butter in sandwiches or on pancakes, scones or even in thumbprint cookies. Pick, wash and measure out 8 cups of fireweed blossoms (flowers only). Add the lemon juice and water. Bring the mixture to a boil for 10 minutes and then strain. Cool the resulting juice to lukewarm. Add the powdered pectin and bring to boil. Add the sugar. Boil hard for 1 minute, then pour into hot clean jars and seal.